President Trump is wishing Democrat Maxine Waters a happy birthday and has crowned her the leader of the Democratic Party. Of course, President Trump has a history with Waters that isn't so cordial. After all, Waters has repeatedly called for Trump's impeachment. Further, she's called on leftist activists to harass members of the Trump administration if they see them in public. "Let's make sure we show up wherever we have to show up. And if you see anybody from that Cabinet in a restaurant, in a department store, at a gasoline station, you get out and you create a crowd. And you push back on them. And you tell them they're not welcome anymore, anywhere. 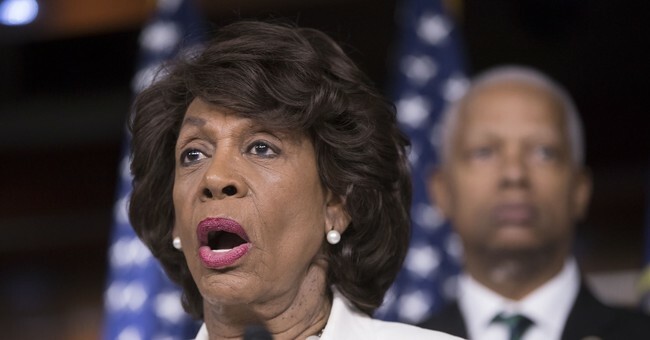 We've got to get the children connected to their parents," Waters said at a rally in California. At a campaign style rally earlier this month, Trump referred to Water's a "low IQ person."